Congratulations, we have a winner! 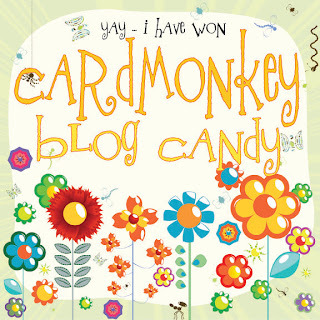 Randy at Random.org chose #11 comment from Nicolette's Birthday Bash to win the Momenta Designer Card Kit. "Love This!!! I can tell you put a lot of time into this. Great Job. cindymarshall63 at hotmail dot com"
Thanks, Cindy -- please be in touch with me via e-mail to cardmonkey@ comcast dot net to provide me with your full name and mailing address! In other wonderful news, I've been spending all of my time since Thursday -- loving it! -- visiting with my parents, Dot and Ed, in my home. If you haven't hugged your parents today, I highly recommend it ... no love is greater. Here's the picture of my parents meeting their first great-grandbaby, Charlotte, for the first time. How sweet, and how wonderful that your parents got to enjoy time with Charlotte. It's funny, now that you don't post as much with your busy life, I get excited when I see a Cardmonkey post on my dashboard. That is such a wonderful pic! Can't wait to hug my parents too! When are you free in the coming weeks? Congrats to the winner! What a sweet picture. It is so true about parents love. 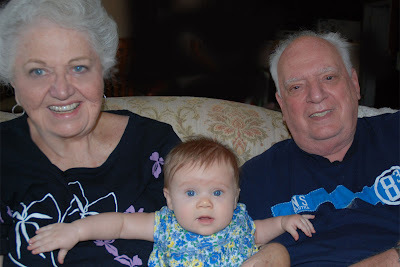 So nice for your parents meeting their first great grandbaby! Yes do hug your parents every chance you get, I miss mine dearly.